"This is the extreme. It's not dirty war, it's a crime," said Santos in an interview with radio W.
Andres Sepulveda, a systems engineer who worked on the campaign of Oscar Ivan Zuluaga, was arrested this week for allegedly hacking Santos' e-mail and the communications of the FARC rebel group related to peace talks in Havana. Along with another Zuluaga campaign advisor, Luis Alfonso Hoyos, who resigned on Wednesday (7 May), Sepulveda is alleged to have offered information related to the FARC to a television station. The government has been engaged in peace talks with the FARC since November 2012, and Santos has made the effort a central feature of his presidency and his bid for re-election on 25 May when the general election will be held. The talks are vehemently opposed, however, by Zuluaga and his most important backer, former president Alvaro Uribe. 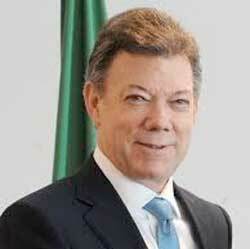 Santos charged that the hacking was an attempt to kill the hopes of Colombians for peace. Zuluaga, who has denied any connection to the hacking, said the charges were an attempt to divert attention from a separate scandal involving Santos' campaign manager. Santos dismissed this as a smoke-screen charge saying it was the height of cynicism by the "one who are corrupt." The president's campaign manager, Juan Rendon, resigned earlier this week following allegations he was paid US$12m by drug traffickers to negotiate their surrender with Santos. Santos has acknowledged Rendon raised the surrender offer with him, but nothing came of it. Rendon denied he had received any money from drug traffickers for acting as an intermediary. Separately, the military said four FARC guerrillas were killed and another was wounded in a clash in the department of Guaviare in central Colombia. A guerrilla leader known by the alias, Carlos Antonio Lozada, was targeted in the operation but escaped. Lozada is a member of FARC's leadership and a negotiator in an earlier failed peace bid between 1998 and 2002.